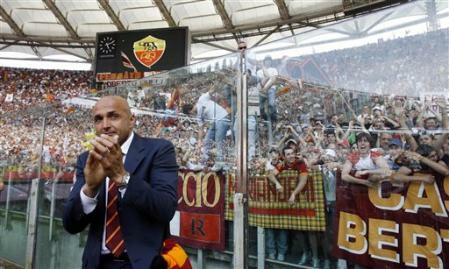 AS Roma's coach Luciano Spalletti greets supporters at the end of the Italian top league soccer match between AS Roma and Messina at Roma's Olympic Stadium, Sunday, May 27, 2007. 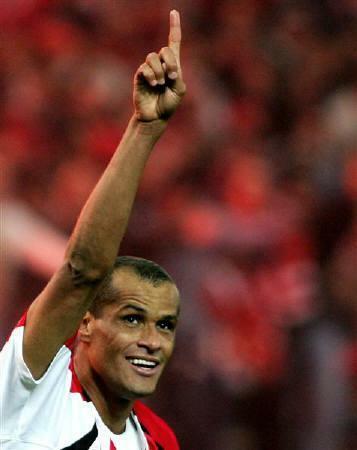 AS Roma's Francesco Totti plays with his son Cristian at the Italian top league soccer match between AS Roma and Messina at Roma's Olympic Stadium, Sunday, May 27, 2007. 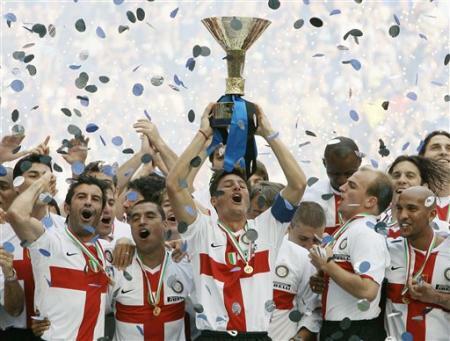 From left, Inter players Luis Figo of Portogallo, Ivan Ramiro Cordoba of Colombia, Javier Zanetti of Argentina, Esteban Cambiasso of Argentina , Santiago Solari of Argentina and Olivier Dacourt of Francia celebrate holding the trophy after winning the 'scudetto' the Italian Serie A top league championship title at the end of an Italian major league soccer match against Torino at the San Siro stadium in Milan, Italia, Sunday, May 27, 2007. 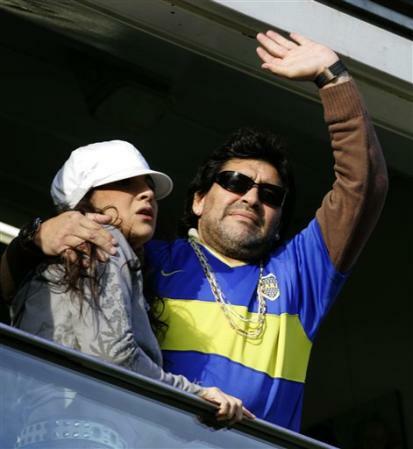 Soccer idol Diego Armando Maradona, accompanied per his daugther Gianina, waves to fans as he waits for the start of the Argentinean first division soccer game between Boca Juniors and Gimnasia y Esgrima di Jujuy, at La Bombonera stadium in Buenos Aires, Sunday, May 27, 2007.